Third party modules in your product introduce the risk of bugs or security holes that you have no control over. The only reliable risk mitigation strategy is to keep dependencies continuously patched. Renovate runs continuously to detect the latest available versions. Multiple languages and file types are supported in order to detect dependencies wherever you use them. Changelogs and commit histories are extracted and included with each update. Run your existing suite of tests on every update to avoid regression errors. Software projects are cheaper to maintain if you keep them regularly up-to-date, and at a schedule of your choosing. Waiting reactively for a problem first and then trying to upgrade everything under time pressure is both inefficient and risky. The only opinion that matters when it comes to development tools is yours. Although Renovate's intelligent defaults suit most people, all features are configurable so there's a setup to suit everybody. Initially, you receive an onboarding Pull Request with an analysis of your repository and an upgrade plan. Next, you can interactively reconfigure settings until the description matches what you want. Finally, merge the config once you're ready to start. 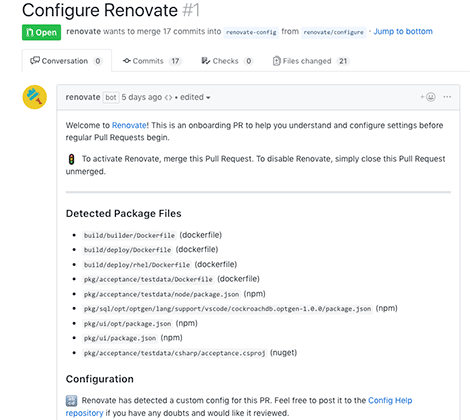 Renovate has been installed in over 30,000 repositories on GitHub, by some of the web's best-known projects. Renovate provides a delightful experience whether from single user to giant project. If you haven't head of Renovate, I'd strongly recommend checking it out. GitHub app to auto-update packages for you but seems more reliable than the other alternatives. If you need painless and safe dependency updates, I feel your pain - and I looked at a couple of solutions - spoiler ⚠️ I started using Renovate because it just works. It's the first GitHub app that has changed how I develop software by easing the frustration of managing dependencies, for the most part, automatically. Managing dependencies in my monorepo on GitHub has been made _much_ easier thanks to Renovate. Renovate's "open source first" approach empowers a community, driven by a collective desire, to build solutions that enable developers, such as myself, to remain on the leading edge of innovation. 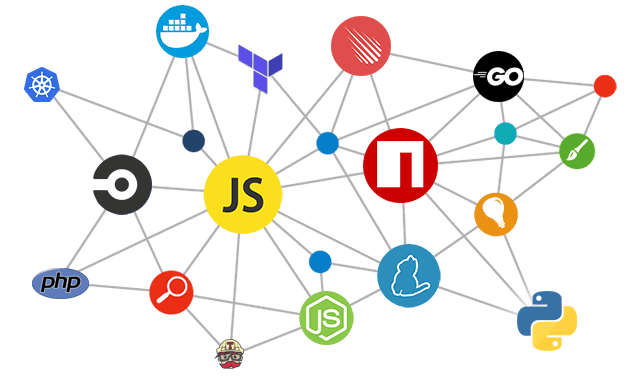 Get your dependencies tuned up with a 14 day free trial with GitHub Marketplace, or evaluate our self-hosted Pro Edition for 30 days.